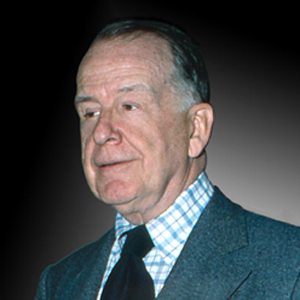 Charles E. Peterson, a 35-year alumnus of the National Park Service (NPS), is widely regarded as a seminal figure in the history of American historic preservation architectural restoration. He was a key intellectual framer of current restoration techniques and practices in the U.S. He also contributed much to our knowledge of early American building technology and helped define the profession of historic preservation architect. Peterson is perhaps best remembered for conceiving and launching the NPS’s Historic American Buildings Survey (HABS). In November 1933, at the height of the Great Depression, he proposed to NPS Director Arno Cammerer the creation of a national program using unemployed architects, draftsmen, photographers, and artists to document, “the rapidly disappearing examples of architecture and historic structures throughout the country.” The first HABS survey team launched in January 1934. To date, HABS, along with its “spin off” Historic American Engineering Record (HAER) and Historic American Landscape Survey (HALS), have recorded nearly 40,000 historic structures and sites, documenting for posterity nearly every aspect of the great American story. HABS is recognized as our Federal government’s oldest historic preservation program. Raised in Madison, Minnesota, Peterson received a bachelor’s degree in architecture from the University of Minnesota and joined the NPS in 1929. In 1931, his advocacy saved the Moore House, General Cornwallis’ headquarters during the Revolutionary War siege at Yorktown, Virginia. While overseeing its restoration, Peterson developed the prototype of the NPS Historic Structures Report – the standard still in use today. During World War II, he served at Pearl Harbor in the Advance Base Engineering Division under Admiral Chester Nimitz contributing to the planned “island-hopping” invasion from Guam to Japan. After the war, Peterson returned to NPS serving in the newly-created Philadelphia office. In 1947, he and NPS Historian Roy E. Appleman were assigned to work on the Philadelphia National Shrines Park Commission proposing a national park for the area surrounding Independence Hall. Peterson was the uncredited author of the seven-volume report to Congress that was incorporated into the enabling legislation under which Independence National Historical Park was designated. As director of Historic Structures, Office of Design and Construction, Eastern Office, Peterson was responsible for the historic buildings from Arkansas east. He was responsible for Philadelphia’s Independence Square – directing the restoration of Carpenters’ Hall, the reconstruction of Library Hall, the restoration of Independence Hall, and overseeing the relocation of the Free Quaker Meetinghouse. From 1956 until his retirement in 1962, he is credited with establishing a “Restoration Dynasty” of architects and engineers in the Eastern Office. In retirement, Peterson began an architectural practice out of his house on Spruce Street in Philadelphia’s Society Hill and is credited with naming the neighborhood Society Hill. He was appointed adjunct professor to the new graduate historic preservation program at Columbia University, arguably the model for the many graduate and undergraduate programs nationwide today. There, he taught early-American building technology. He was active in the Historic Resources Committee of the American Institute of Architects (AIA), representing the AIA as a delegate to the 1964, 2nd Congress of Architects and Specialists of Historic Buildings in Venice, Italy and the 1965 Warsaw, Poland, First General Assembly of ICOMOS (International Council of Monuments and Sites). He was a founding member of the Association for Preservation Technology (APT) serving as the organization’s first president in 1969. Through APT, he was instrumental in moving the practice of historic preservation from antiquarian interest to profession. In 1983, the Charles E. Peterson Prize was established to recognize superior student drafting abilities in HABS documentation. Throughout his NPS career, Peterson was a tireless advocate for the appropriate training of architects in historic preservation skills and for the proper restoration and care of historic buildings that respected their history and authenticity. He will best be remembered as tireless advocate of historic preservation as a professional endeavor. Peterson made significant contributions to how old buildings should be documented and treated and how architects are trained.